It’s not a scenario you want to imagine: finding your dog unconscious on your living room floor or your cat hit by a car. Finding your pet not breathing or with his heart not beating can be a terrifying experience, but there are things you can do. The most important step you can take is staying calm. If there’s another person with you, have her call your veterinarian while you perform pet CPR. It is always best to work as a team with one person making the decisions. Before you begin doing anything to your pet, make sure he is truly unresponsive. Check for his heartbeat by placing your ear against the area where your pet’s left elbow touches the chest. If you don’t see or feel your pet breathing, you immediately need to make sure his airway is clear. Close your pet’s mouth and breathe directly into his nose, not his mouth, until his chest expands. If the chest doesn’t expand, check again for a foreign object in the throat and reposition the airway so it is straight. Once you’ve gotten the chest to expand, continue the rescue breathing, repeating the breaths 12 to 15 times per minute (once every four to five seconds). Gently lay your pet on his right side. The heart is located in the lower half of the chest on the left side, behind the elbow of the front left leg. Place one hand below the heart to support the chest; place the other hand over the heart. Press down gently on your pet’s heart. Press down about one inch for medium-sized dogs; press harder for larger animals and with less force for smaller animals. Allow for full chest wall recoil while compressing down the chest to a 30-50% depth. Compressions should be continuous & when possible with a new person performing this task every 2 minutes in order to maintain the rate and quality of the compressions. 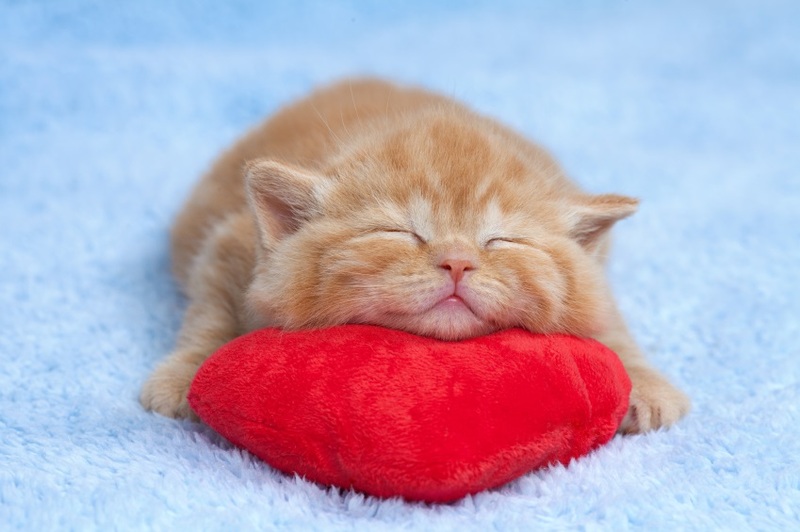 To massage the hearts of cats and other tiny pets, compress the chest with the thumb and forefingers of one hand. Alternate the chest compressions with the rescue breaths. Continue the heart massage compressions and the rescue breathing until you can hear a heartbeat and feel regular breathing. Once your pet is breathing and his heart is beating, call your veterinarian immediately. CPR in a veterinary hospital will not only utilize chest compression sequences but will also incorporate intubation of the trachea while providing ventilator support. Intravenous catheters will be placed as fluids & emergency medications will be provided via this route to stimulate the heart. Epinephrine, Atropine and Vasopressin are commonly used intravenously (in the vein), intratracheal (through the endotracheal tube) or intraosseous (within the bone). The patient’s cardiac (heart) status can be monitored with an electrocardiogram machine and when indicated, defibrillation (AED) can be used. Unfortunately, even in the hands of well-trained veterinary health professionals, the overall chance for success with resuscitation is low at a 4% for dogs and 4-9% for cats. In an emergency, however, it may give your pet his only chance. David Theuerkauf, DVM, is originally from Menominee, MI, where he grew up in a large family working on the family farm. He attended Michigan State University, receiving his Doctor of Veterinary Medicine degree in 1985. He worked in a busy small animal clinic in Detroit for 1½ years before deciding to move to the Northwoods and join Dr. Race Foster and Dr. Marty Smith at Foster Smith Animal Hospital. He became a partner in the business in 1987 and has loved the Northwoods that he calls home for the past 30 years. Dr. Theuerkauf enjoys the many facets of small animal practice with particular interests in ophthalmology cases, soft tissue surgery, and internal medicine. Dr. Theuerkauf is co-owner of the Northwoods Animal Hospital with three Wisconsin locations in Minocqua, Eagle River, and Manitowish Waters.